Trust a group of architects to design the niftiest piece of modular furniture we’ve seen in a long time. Meet the Chairhouse by Torafu Architects. What the name lacks in imagination, the design makes up for in ingenuity. Made from natural birch plywood with glossy red details, at first glance the Chairhouse looks a modern piece of furniture. 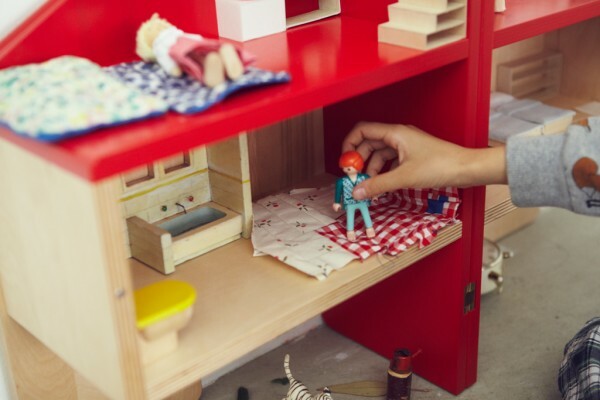 Then, swinging from two tidy brass hinges, the two sides open to reveal a three storey doll house with a red roof. Fill it with blended dinosaur and pony families, your best doll furniture or a special collection of knick knacks and books. 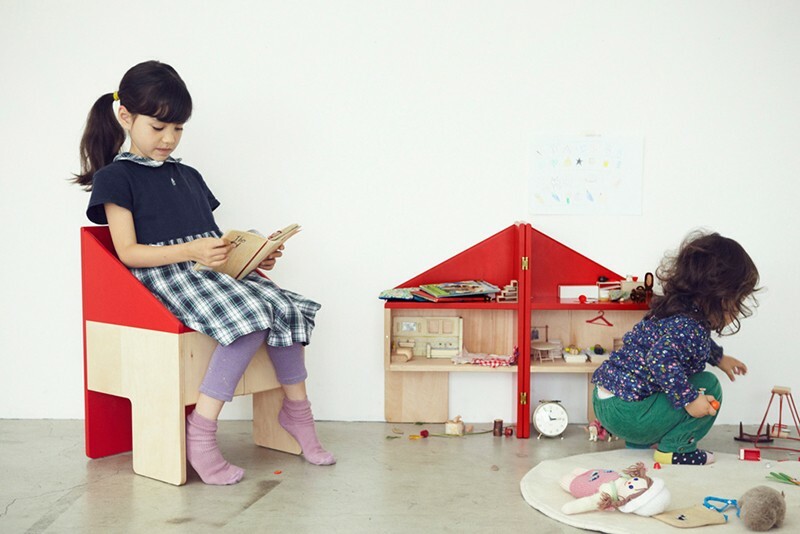 When playtime is over, the toys can be stored away on level two which gets hidden when the two sides close and it transforms back into a chair. Clever and helps with the tidying up? Genius. Sadly the Chairhouse isn’t available in Australia, but we’ll update you if we hear of any stockists.